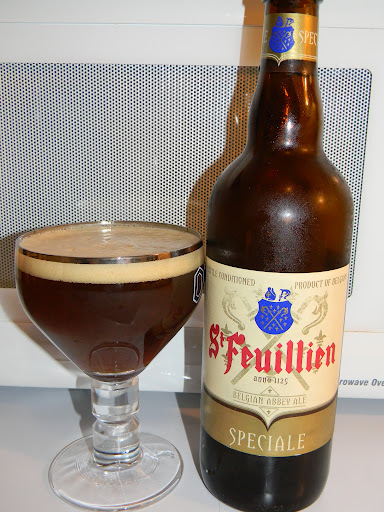 St. Feuillien | Beer Apprentice - Craft Beer News, Reviews, Interviews and Info. Hi guys. For today’s craft beer review I’m going to be trying a collaboration brew produced by the Brasserie St. Feuillien located in Le Roeulx, Belgium and the Green Flash Brewing Company situated in San Diego, California. These two breweries have been known to collaborate before. 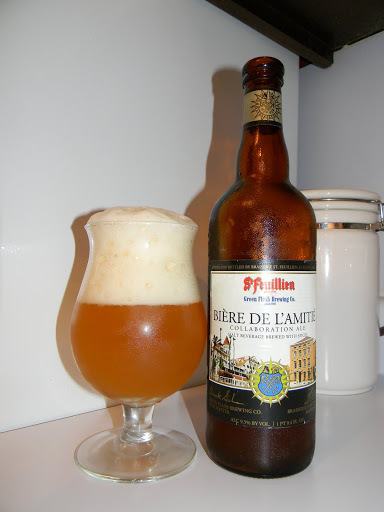 They concocted the Biere De L’Amitie a few years ago. 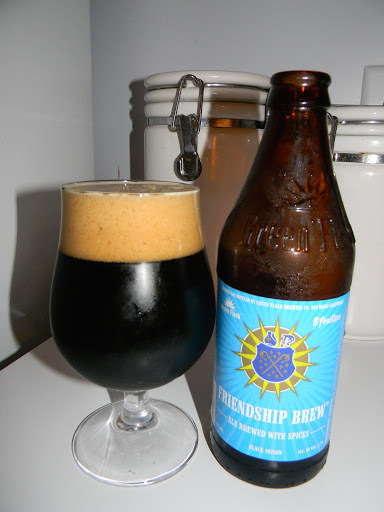 I remember liking that beer pretty well, so let’s hope the Friendship Brew has the same effect on me. St. Feuillien’s website, st-feuillien.com, didn’t provide any info on this particular beer, but greenflashbrew.com, engaged us with this description. This beer came in a 12 oz. bottle and it had an ABV of 5.7%. It poured a shimmering black color. The collar was khaki in tint, creamy and quite smooth. It was sized well, the retention time was solid and the lacing looked pretty nice too. The bouquet was rather “minty”. Almost like toothpaste. It seemed considerably strong I thought. I also picked up some type of detergent soap. It was kind of floral also, however that wasn’t prevalent enough to over take the mint. That’s about all that I could discover to tell the truth. Just a little bit confusing to me. The flavor was, again, mostly minty and soapy. Some savors of grassiness were ascertained and I also happened upon a light bit of pepper. Still however, the mint aspects were the dominating factor. I usually don’t mind some subtle hints, but this was just a tad exaggerated for my liking. The mouthfeel was medium bodied. Dry, smooth and slightly crisp. The carbonation was good and the flavor hung around for a few moments after each sip. Well, the Green Flash/St. Feuillien Friendship Brew was interesting to say the least. At least in my opinion. I guess it just wasn’t my “thing”. Some of the characteristics were just a bit strong for me, but hey…. others may really like that sort of thing. I don’t necessarily think that I’ll pick this up again if left with other choices, but remember, this is just my opinion, so grab a bottle if you see it and give it a try. You may find it to be the best beer you’ve ever had. I’d love to hear a second opinion.